Willie James Howard’s flirtatious card sent to a white girl in 1944 would result in him losing his life 11 years before Emmett Till also met the same fate. The young girl, Cynthia Goff showed the note to her father, Phil Goff, a former state legislator. Phil Goff dragged Willie from his home at gun point on January 2, 1944. He and his father James Howard were taken to the Suwannee River where Willie was forced to jump in as his father watched the lynching. His body was pulled from the river the next day. Justice was sought for the cruel murder. Harry Moore, field secretary for the NAACP took statements from Willies parents. Moore had grown up in the town and was a classmate of Willie’s mother, Lula Howard. 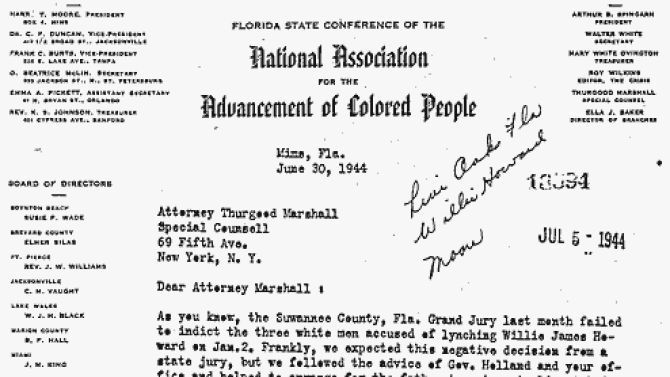 Thurgood Marshall, general counsel for the NAACP was told by Florida’s governor that it would be almost impossible to get a grand jury to believe the account of Willie’s father over the white men who murdered his son. The governor was right. A grand jury refused to indict Phil Goff and his accomplices. The Justice Department also refused to intervene; stating that it had no jurisdiction. Harry Moore continued to seek justice on behalf of the Howard Family until he and his wife were murdered by Klansmen who fire bombed their home in 1951. The men who murdered Willie were never brought to justice. They are all dead now. Efforts to reopen the case thus far have been unsuccessful. Reflecting on how Emmett Till was beaten, shot, and thrown in the Tallahatchie River for whistling at a white woman; makes it even more troubling to know that another young man met the same fate years earlier. 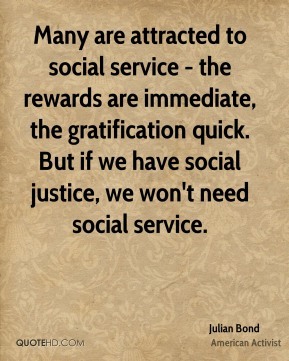 Robert Smalls (April 5, 1839 – February 23, 1915) was born in Beaufort, SC, to a slave named Lydia Smalls. His father was unknown to him, but was believed to be a prominent white man. Small longed for freedom. Smalls was hired out by his master and eventually began working the docks. He became an expert seaman. He was married Hannah Jones, also a slave. 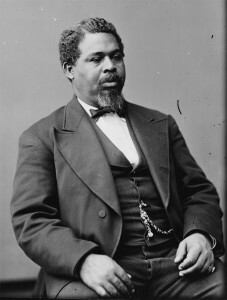 In the fall of 1861, Robert Smalls was made helmsman (though he would have been classified as a pilot had he not been a slave) of the CSS Planter an armed Confederate military ship. On May 12, 1862, the Planter’s three white crew officers decided to spend the night ashore. With the white officers gone, Smalls and several other black crew members made the daring decision to try and escape. There goal was to guide the ship out of enemy territory and surrender in open waters to Union troops. Along their route, they stopped to pick up Smalls’ family and the other crew’s relatives. Smalls piloted his ship past 5 Confederate forts that were guarding the harbor. A skilled seaman, he was aware of the mines that had been placed by Confederates and sailed right past them. After passing the Confederate forts, he hoisted a white flag and headed towards the Union blockade. The first Union ship he approached was the USS Onward which prepared to fire until the white flag was noticed. Smalls turned the Planter over to the United States Navy, along with its weapons and explosives. President Lincoln signed a bill giving Smalls and his crew $1500 for his bravery. At the time, The Conferedates, also had $4,000 bounty on Smalls. Smalls then became the first black captain of a ship in the service of the United States. On December 1, 1863, the Planter was engaged in a fierce battle. The ship’s commander, Captain Nickerson, was ready to surrender to Confederate troops. Robert Smalls refused because he knew that he and the other slaves on board would be killed. He took command of the ship and maneuvered it out of the range of confederate guns. For his acts of bravery, he was made a captain, becoming the first black man to command a United States ship. Smalls later went on to become active in politics. He also became a successful business man and eventually bought and lived in the home that he had grew up in as a slave. Smalls died in 1915 in South Carolina. In 2004 a military ship was named in his honor. Ava Duvernay, Director of the movie Selma shares a powerful reflection on Twitter regarding Hip Hop music and its depiction of misogyny toward women! Interesting to note that she, in general spoke very favorably regarding the movie. Almost seems like a paradox. It is sad to think/know that depicting women in a derogatory manner is so engrained that it is now viewed as almost a cultural norm; that is a multi-billion dollar industry. Quiz Answer: Who Was The First Black Woman To Argue and Win A Case Before The Supreme Court? 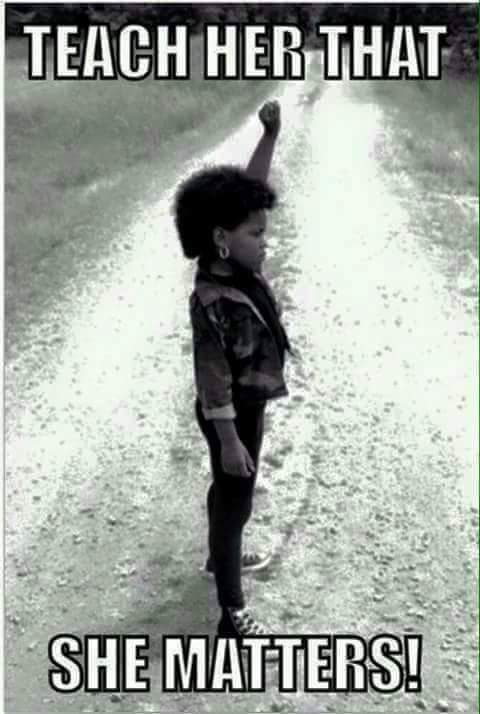 Who Was The First Black Woman To Argue and Win A Case Before The Supreme Court? One Question Quiz: Who Was The 1st Black Woman To Argue & Win A Case Before U.S. Supreme Court? Take your best guess!! 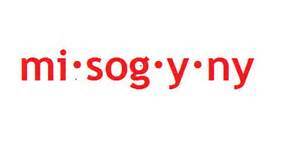 No “surfing” the internet or using google to find the answer to find the answer! Answer will be posted at 7pm on Tuesday, 8/18. Many of us have heard of the likes of Dizzy Gillespie and Charlie Parker. But have you heard of the legendary Clora Bryant? This little known but legendary woman is a music pioneer who deserves some props! She paved the way for female musicians working in a heavily male dominated jazz industry. Clora was born in 1927 in Denison, TX. She began playing the trumpet in high school; eventually joining the school marching band. She continued playing after high school while attending Prarie View College. She joined the all-female swing band the Prairie View Coeds. The group toured across the state of Texas. The tour culminated in performances at the Apollo Theater in New York in 1944. Bryant transferred to UCLA in 1945 and began playing with musical groups there. In 1946, she joined the all female band, Sweethearts of Rhythm. She quit school soon after. It was around this time that she met Dizzy Gillespie. He remained a mentor for her for the rest of his life. 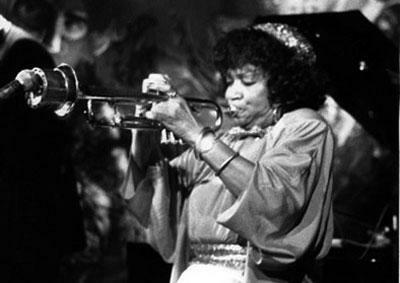 In her career as trumpeter, she played for Billie Holiday and Josephine Baker to name a few. She also performed in Canada, touring there for 2 years. In 1955 her LP, “Gal With A Horn” debuted. She continued to tour and play into the late 90’s. In 1989 she was invited by Soviet leader, Mikhail Gorbachev to do 5 performances in the USSR. In 1996 she suffered a heart attack which made her unable to continue as a trumpeter. However she continued to use her vocal talents as a singer. 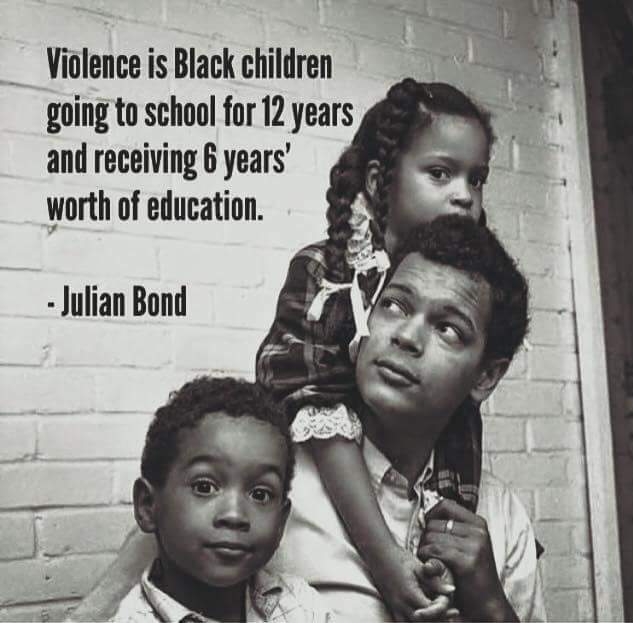 She also began lecturing on various college campuses educating audiences on the history of jazz. In 2004, the documentary Trumpetiscally was released about Bryant.